Why not come and take part in a unique island-based sportive that combines scenic beauty with a challenging ride. We’ll take you along miles of twisting single-track that circle the island, past the wildest, most beautiful coastline you will find on any ride in the UK. 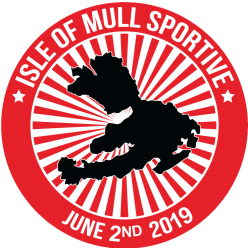 The Isle of Mull Sportive is an entirely volunteer-run event, where you’ll find a warm welcome, good organisation and a fast-growing group of Mull regulars who come back year after year. This isn’t a closed road event – it hardly needs to be, aside from other cyclists, the main distraction will be the view! All profits from the event go toward local good causes. We distribute all proceeds to local charities, volunteer organisations, schools, social and environmental projects.